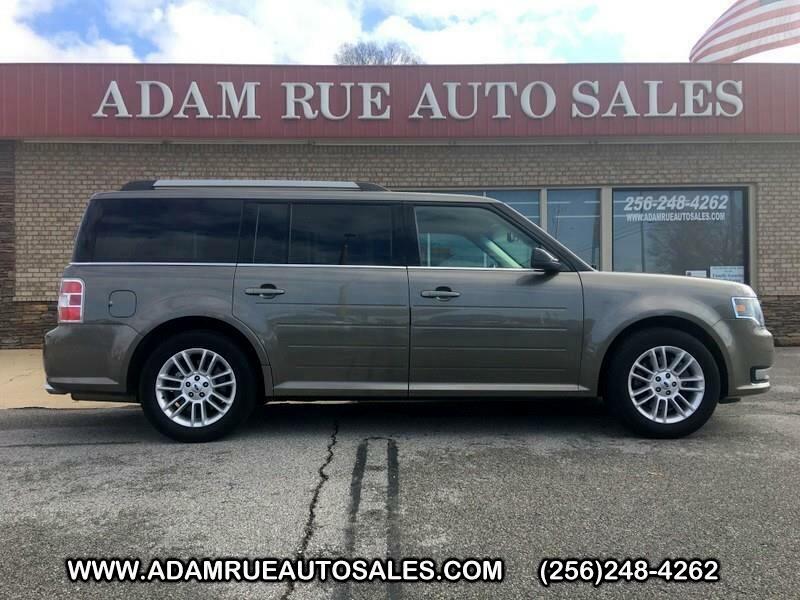 This 2014 Ford Flex SEL is proudly offered by Adam Rue Auto Sales If you're in the market for an incredible SUV -- and value on-the-road comfort and manners more than ultimate off-road prowess or tow capacity -- you'll definitely want to check out this Ford Flex SEL. Savor the satisfaction of safety in any condition with this AWD Ford Flex. Superior acceleration, unmatched traction and stability as well as a luxurious interior round out the impressive features of this AWD Ford Flex. Look no further, you have found exactly what you've been looking for. More information about the 2014 Ford Flex: The 2014 Ford Flex remains an excellent choice for those who lament the absence of large station wagons on the market, yet want something far more stylish than truck-like SUVs or look-alike crossover vehicles. It drives responsively, rides smoothly and quietly and is a great highway vehicle. Plus, the Flex's boxy shape makes it one of the most spacious vehicles inside, especially from a passenger standpoint. Consider its excellent safety ratings and standout active-safety features and it makes a lot of sense from a family standpoint-- making a luxurious minivan alternative, too. This model sets itself apart with handles like a big sedan, Boxy exterior style is unique, all-weather all-wheel drive, responsive EcoBoost powertrain, spacious, passenger-friendly interior, and smooth ride Thank you for considering Adam Rue Auto Sales! We are proud you are here. Our dealership is focused on making your buying experience as pleasurable as possible. We understand how difficult it can be finding the perfect vehicle. Our staff has been in this business many years and are trained to be professional and courteous while assisting you. After all, you are the reason we are here. We want to be a little different than what you will find down the street. We stock quality vehicles and look forward to treating you like family.